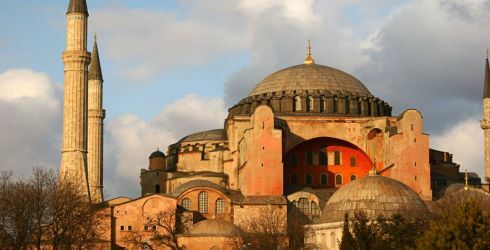 Explore the ever-fascinating intersection of Europe and Asia in the huge country of Turkey, which will delight you with incredible historical monuments, cuisine, and scenery. Are visions of the grandiose markets and delicious foods tempting you and some friends to make a visit to Turkey? Group Travel to Turkey is a great way to explore this amazing country, whether that's hanging out in the country's famous baths or swapping tips on haggling over a delicious meal and glass of wine. Straddling the continents of Asia and Europe, Turkey and its capital city of Istanbul are a swirl of culture, and visiting it with your best friends will be sure to be one of the memories of a lifetime. Did you know that airlines, hotels, and other tourism providers can offer the organizer or host of a group complimentary travel or discounts on your trip? Depending on the size, you can definitely save by booking a group trip. Turkey is a busy place and has so many different cultural attractions, it can be hard to choose what to include on a group itinerary. Be sure to avoid a "one size fits all" approach, because some people will want to try out a Turkish bath and some won't. Others will want to spend an hour or two in the bazaar, and others will want to spend all day. You want everyone to go home feeling like they had a good holiday, and a schedule that gives everyone some flexibility so that part of the time you're enjoying structured, scheduled group appointments and that part of the time, everyone's allowed some serendipity to go and find the things they'll enjoy the most. The exotic land of Turkey served as a gateway between eastern and western cultures and contained some of the most famous locations of the ancient world. Visit the structures of some of the world's earliest civilized cultures including amphitheaters, temples and underground cities. Gain an understanding of the later Ottoman Empire through its mosques - spiritual symbols as well as places of great artistry. Sample modern day Turkish culture experienced through its bazaars and village life. View the complete day to day Best of Turkey Itinerary. Explore the land where east meets west on this 10 day trip to Istanbul and the unusual landscape of the Cappadocia region. Explore bustling markets filled with exotic wares, beautiful mosques full of decorative tiles, Oriental carpets and other treasures. Enjoy boat journeys gliding past lovely countryside views and skylines filled with mansions and palaces. Partake in traditional Turkish culture at a folk evening filled with the sights, sounds and tastes of the country. View the complete day to day Turkey - Istanbul & Cappadocia Itinerary.